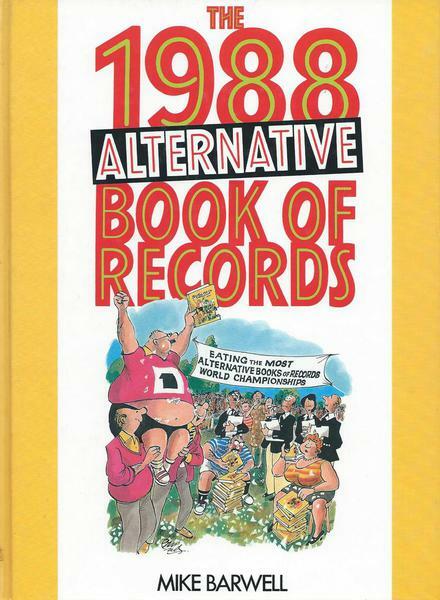 The W. H. Allen Alternative Book of Records compiled by Mike Barwell was produced for a number of years between 1984 and 1999. 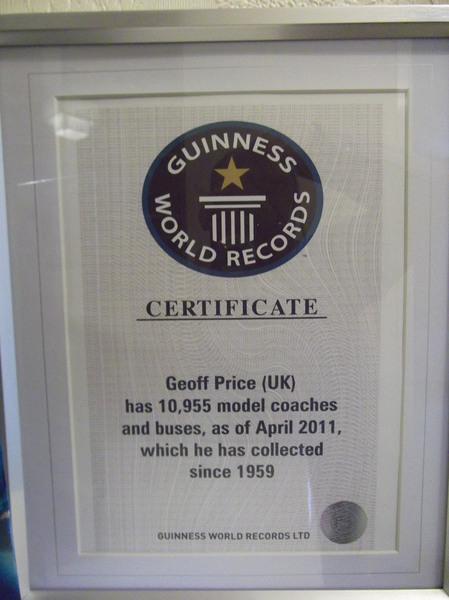 Geoff’s collection was first featured in the second edition in 1985 when he had 2,436 models. 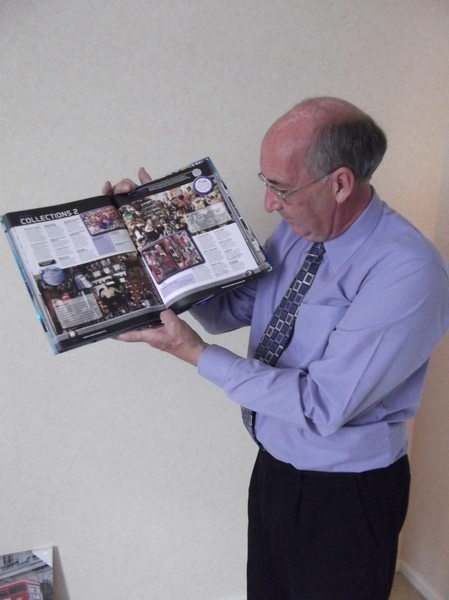 The third edition in 1986 featured half a page picture of Geoff with his collection of 2,633 models. 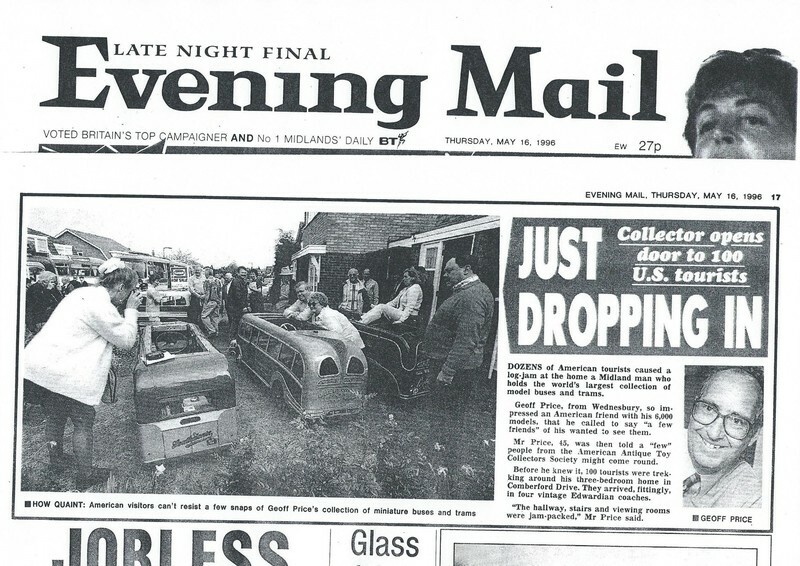 Edition no. 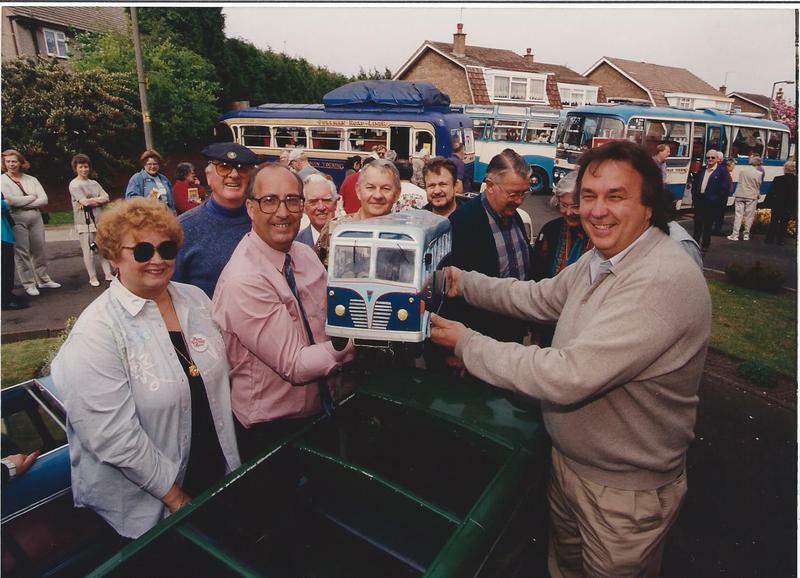 4 was produced by Grafton Books in 1987 and listed the collection at 3,011 models and mentioned the largest and most valuable item had been purchased for the collection in 1986 – a 10ft long Leyland Royal Tiger working one third scale model miniature coach built in 1951 registered LUF 1, seating six children and was purchased from Morecambe, Lancashire – unused by the owner for over 20 years. 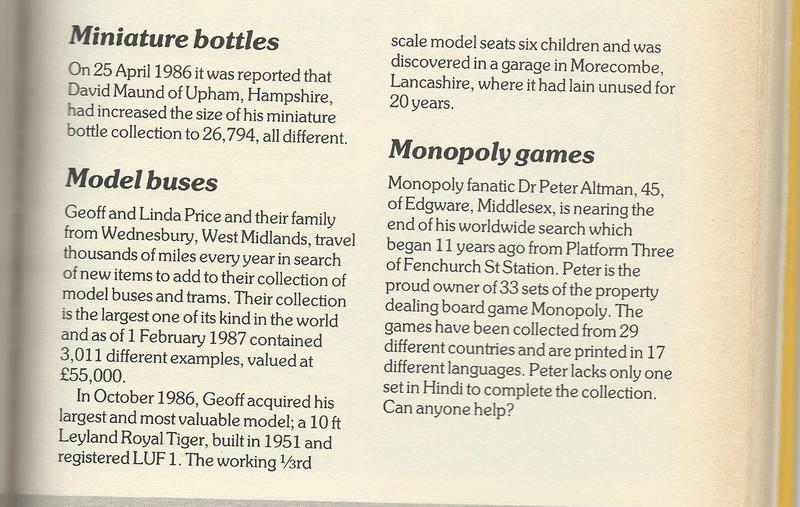 Following non-publication since 1987 the final Alternative Book of Records published by Peter Haddock Ltd was issued in 1999 and featured a full page picture of Geoff with some of his models in front of the Royal Tiger Miniature Coach and the collection was listed as 3,247 models. 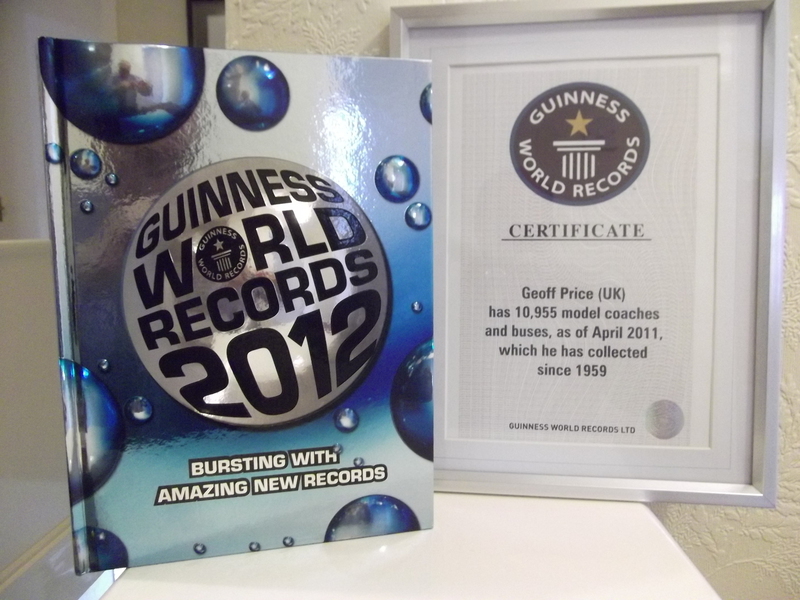 In early 2000 Guinness World Records approached Geoff and visited the collection with the aim of producing a new book on Guinness Collecting Records. 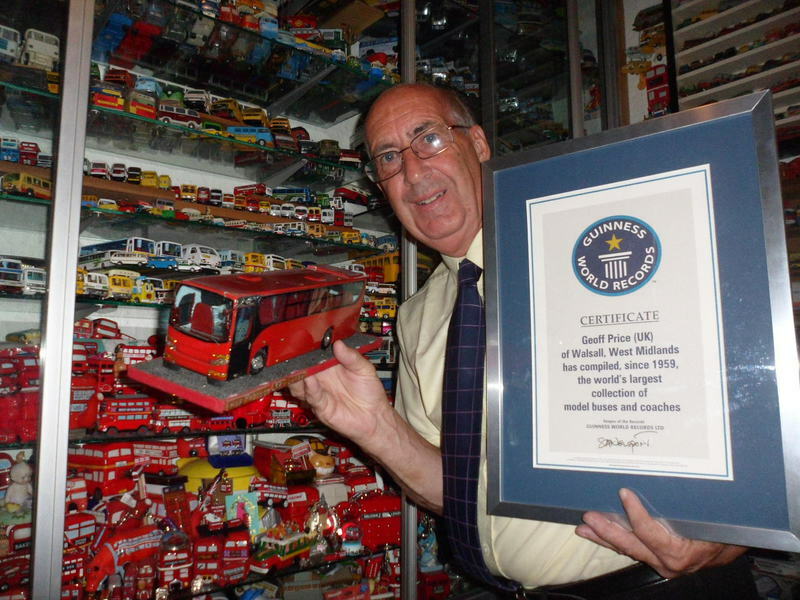 I think this was such a huge task on everything which is collected throughout the world and in fact they could fill a book on just toy and model memorabilia collectors alone, so this book never appeared. 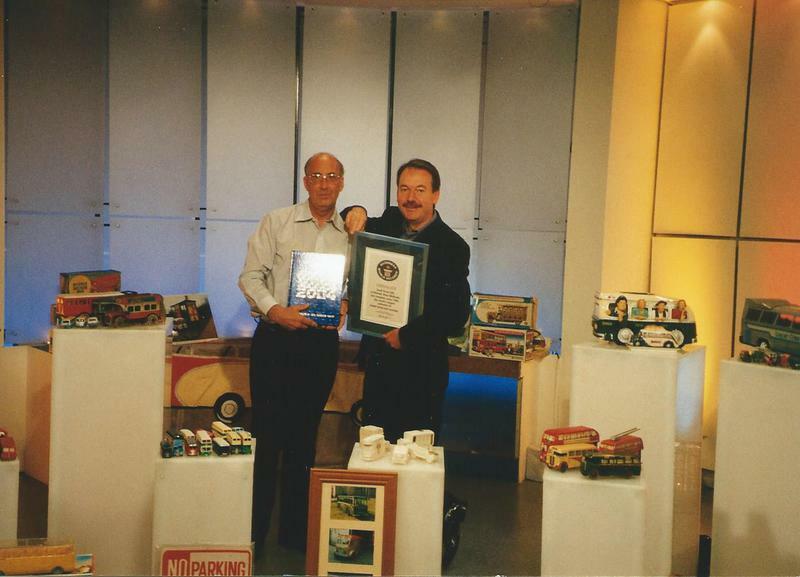 Geoff was approached again in 2003 regarding his collection and was invited to appear on the 24th September 2003 on ‘This Morning’ (ITV) with presenters Philip Schofield and Fern Brittan and antiques expert Eric Knowles to talk for around six minutes on the model collection. 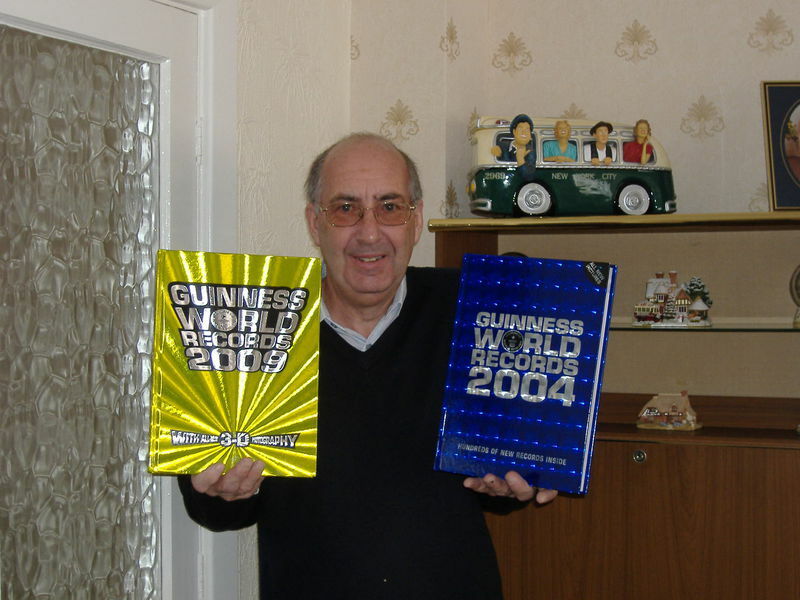 The live filming was interrupted when Stewart Newport (Keeper of the Records), from Guinness World Records was sent on set as a surprise with my Guinness World Records Certificate and copy of the new 2004 Edition. 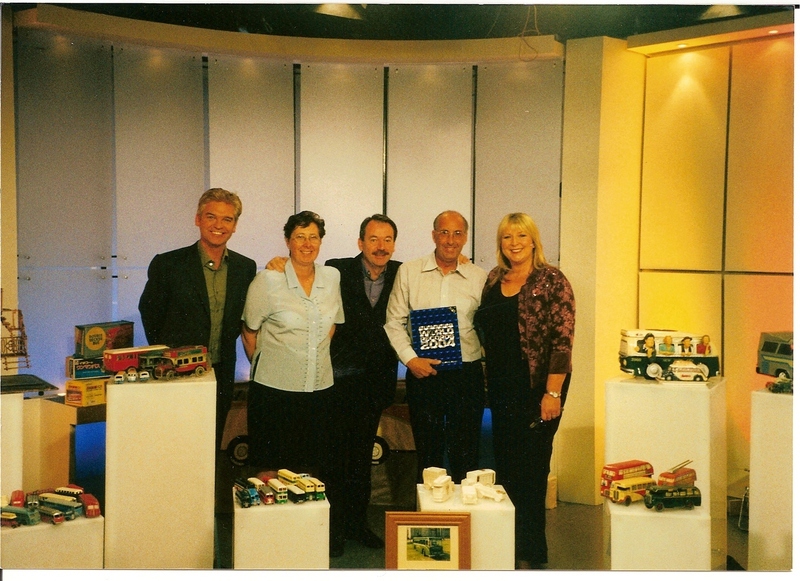 I was unaware that I had been asked to be there to launch the 2004 Book live on national TV and this would be available throughout the shops the following day. Three weeks later I was back in London with Linda at the Tate Modern Gallery helping to launch the International Editions with worldwide press and tv in attendance. 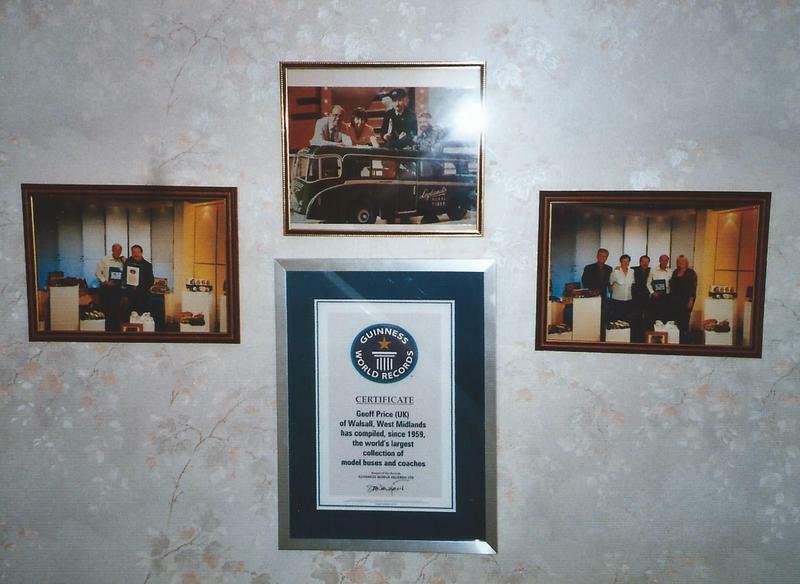 These were two very memorable events for both of us. 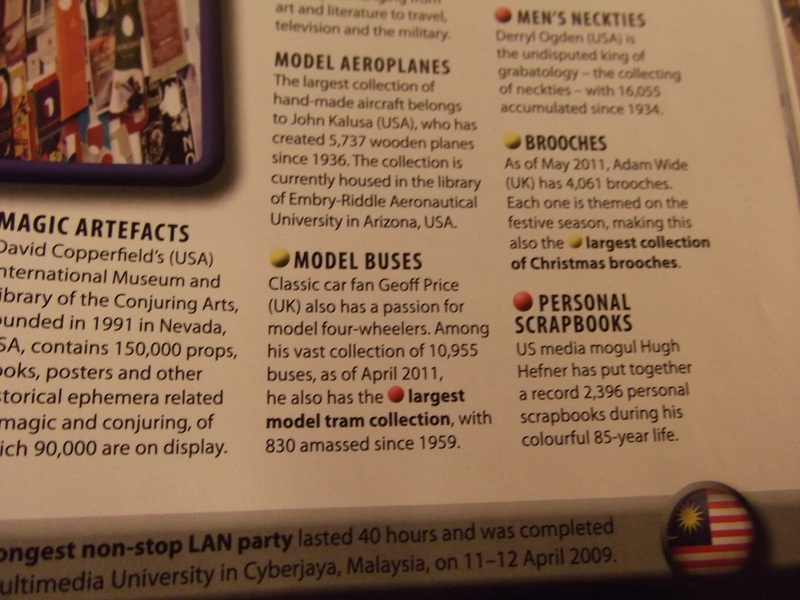 Since then I have been featured in the 2009 Edition with the collection at 10,017 models and recognising my 50 years since the start of my collecting in 1958. 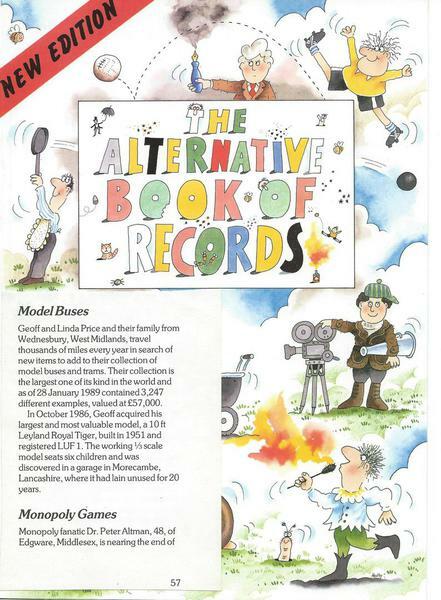 Considering only approximately 35 collections are mentioned in the book this is a very very rare achievement. 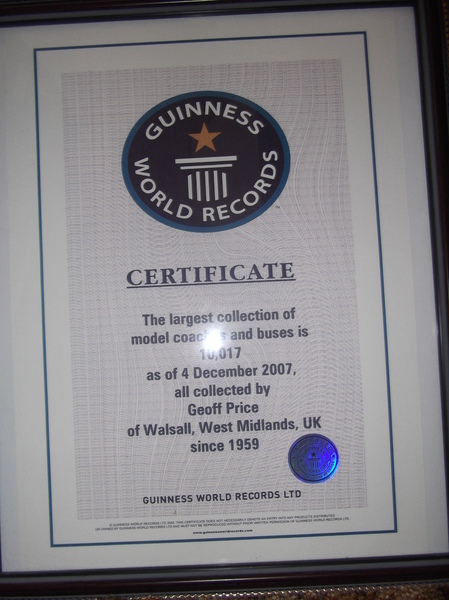 In 2011 we received updated certificates showing 10,955 model buses in the collection and 830 model trams, giving a total of 11,785 models altogether. 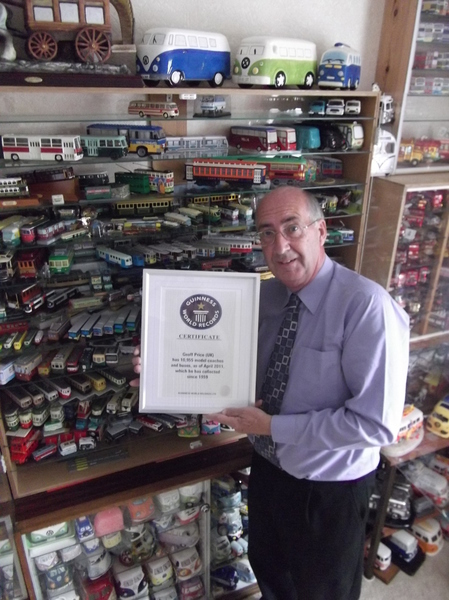 However now as at 3rd January 2016 the collection stands at a total of 13,627 models altogether. 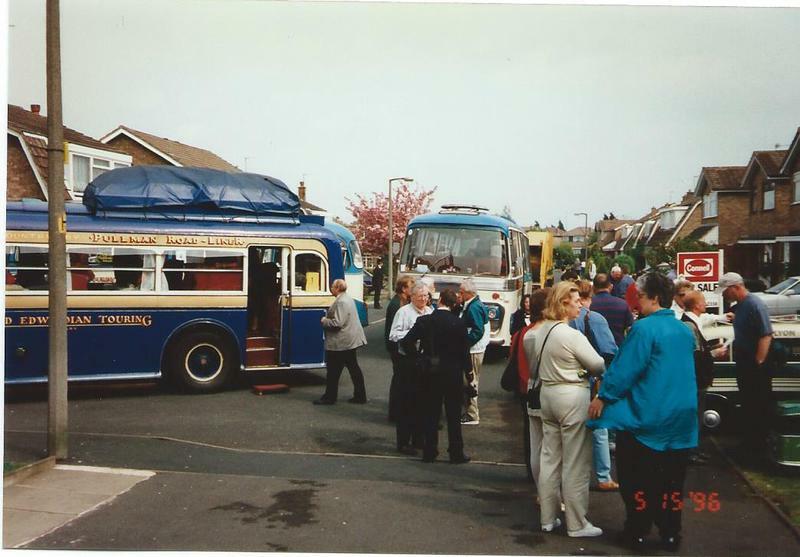 A further unofficial record for ourselves was achieved on Wednesday15 May 1996 when four coaches turned up at our house. 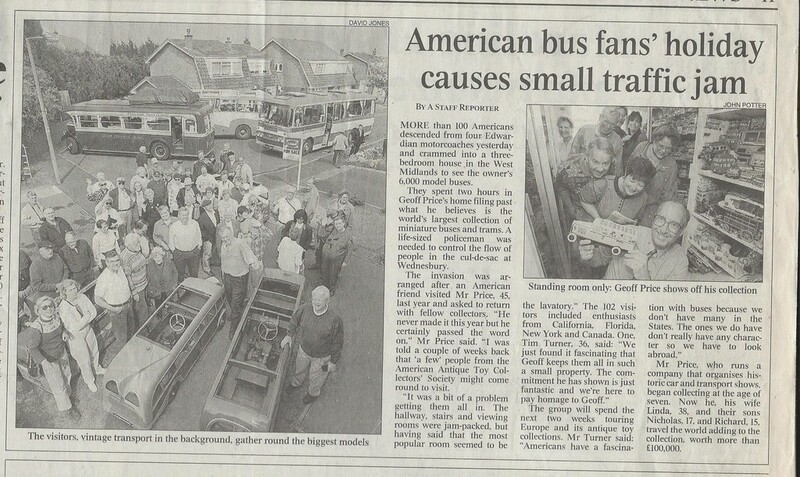 We were approached by an American visitor, Tim Turner in 1995 asking if a few American collectors could visit our home in Wednesbury to view our 6,000 models but we did not know then what we were about to take on. 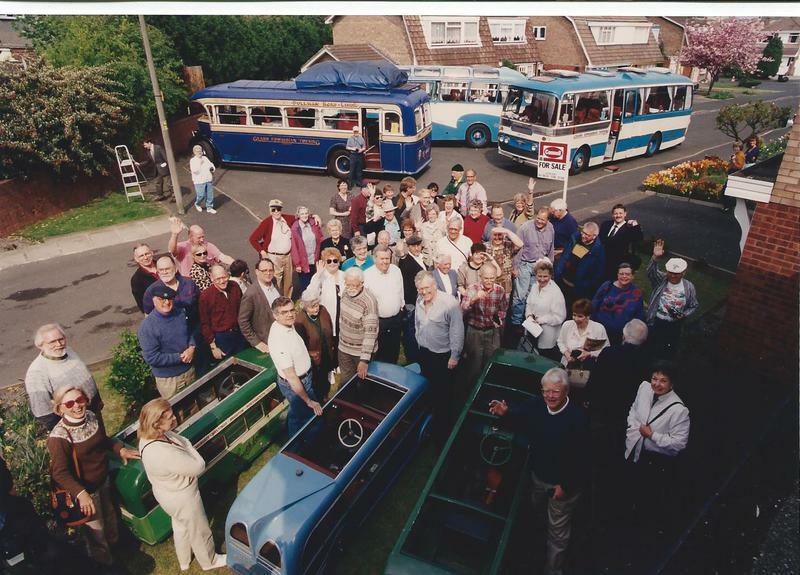 It came as something of a shock when plans were sent to us before the visit with arrangements that four vintage touring coaches would arrive bringing 80 model collectors from the States to view our collection. 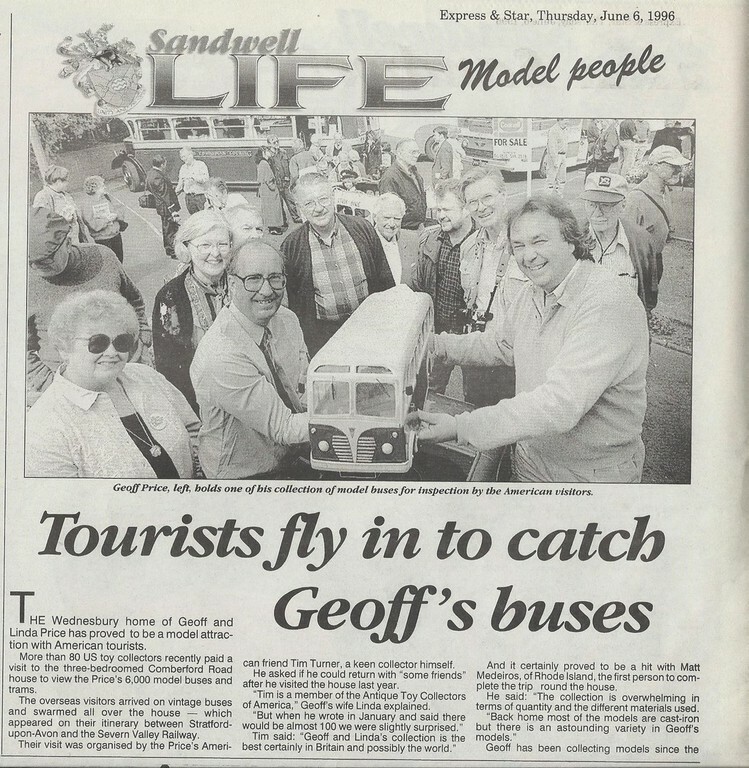 Arriving at 8.30am and departing at 11.30am, they would then go on to visit the Severn Valley Railway. 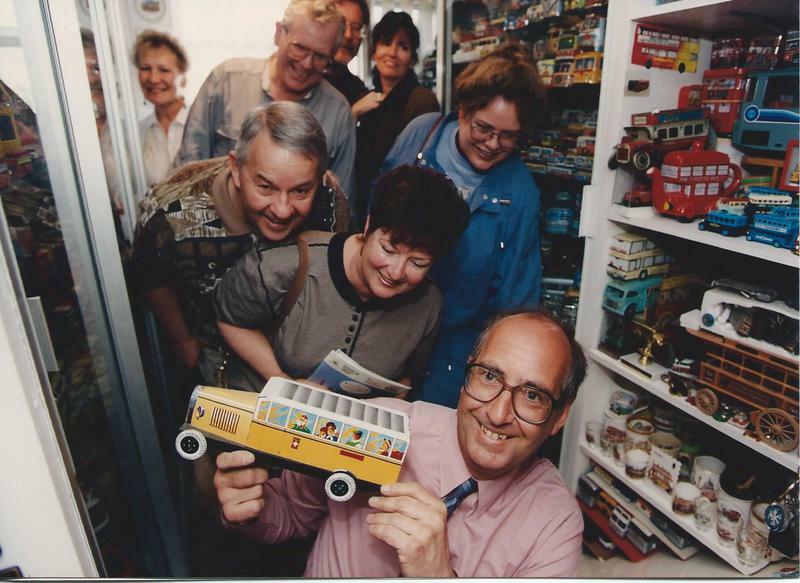 The seven days in the UK was part of their European tour visiting Toy Museums and other attractions. 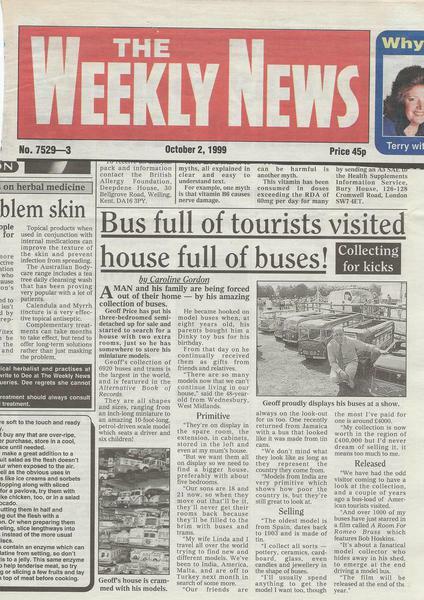 We were the only private collection to be visited on the UK trip and this created mass media attention with 4 coaches arriving with 80 visitors to one three bedroomed house. 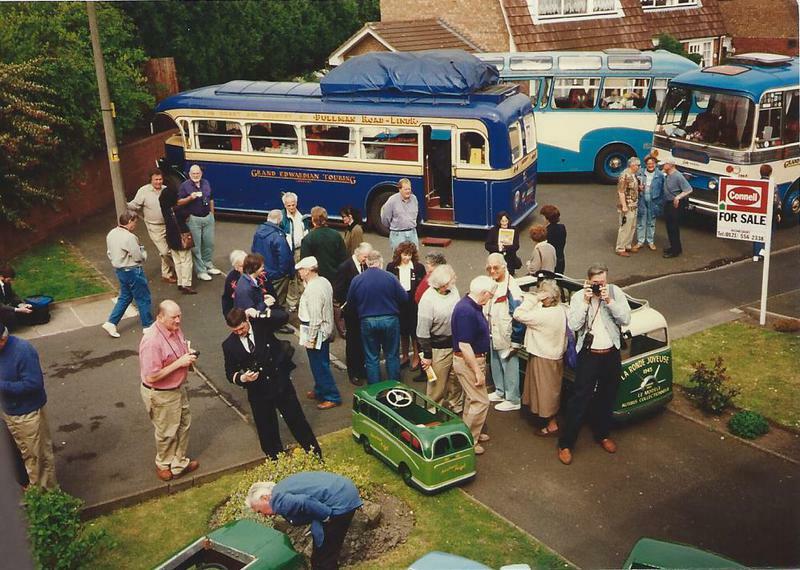 However living in a cul-de-sac helped as on the morning they arrived, the Police closed the cul de sac and organised the coaches to park opposite our house. 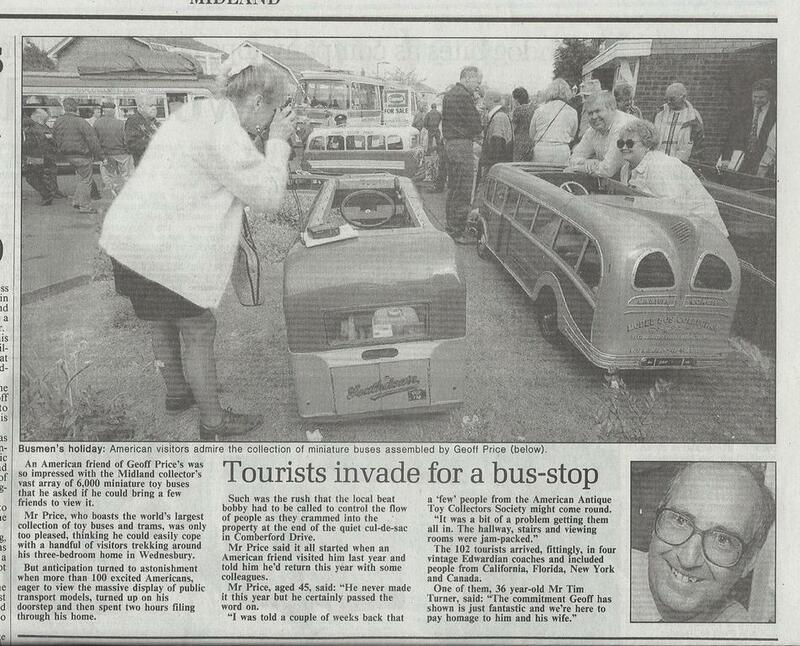 All the neighbours were very good about it and the tourists were busy taking pictures of the police on duty, neighbours houses gardens and also having a great time in our home, also our miniature coaches were all displayed on the front of the house. With TV crews and press hanging out of some of the windows, others climbing ladders to get extra height resulting in some fantastic press pictures and the TV filming was amazing. 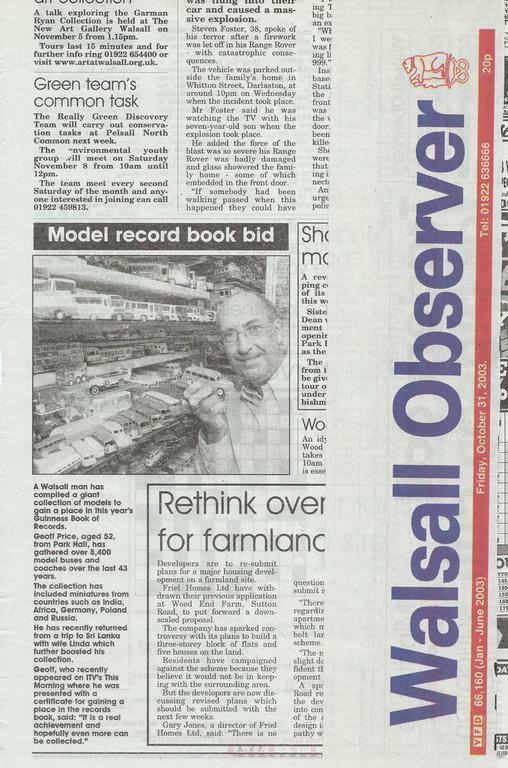 Coverage was on the BBC and ITV and American TV. 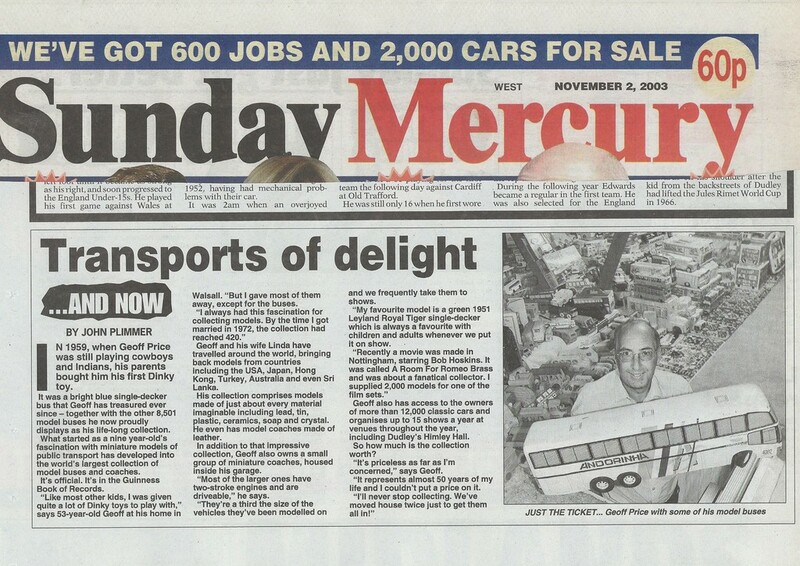 Our national newspapers including Mirror, Independent, Telegraph, Express, Post, Guardian, alongside Evening Mail, Express & Star, Shropshire Star and the weekly newspapers all printed excellent coverage. What a Day !!! - Once in a Lifetime for us.